Home eye care health and fitness Why Should You Get a Regular Eye Exam? You should never neglect the health of your eyes. Having good vision will enhance your quality of life. Therefore, you should take the necessary steps to ensure that you are never straining to read or see things clearly from a far distance. One of the easiest things you can do to accomplish this is to go to an optometrist for a regular eye exam. Unfortunately, many people fail to do this. They end up struggling to see things that they would otherwise see clearly had they gotten an eye exam. Having difficulty seeing things can make every day a struggle. Are you currently having a hard time seeing? If this is the case, there is no reason you should live this way. Here are a few of the main reasons why getting a regular eye exam is important. 1. Having perfect vision can make your life much easier. Having to squint to see things far away will put an unnecessary strain on your eyes. Not being able to see far away also makes it dangerous for you to drive and prevents you from enjoying your life. Are you someone who reads a lot for work or pleasure? You might be at the point where many of the letters on the page or computer screen are starting to get blurry and blend together. Getting a new prescription can allow those letters to become crystal clear. You will also be able to drive more safely and enjoy all of the beautiful scenery around you. There are many experienced opticians in Edmonton AB who will be able to help you achieve the perfect vision that you are seeking. 2. It is important that you are screened for various eye diseases. There are a variety of very serious eye diseases that you might possibly develop over time. This is especially true if you are over the age of 50. There are special tests that are designed to see if you are in the early stages of macular degeneration, cataracts or glaucoma. If this is the case, a treatment plan will be prescribed to you that will eliminate these diseases before they start to have a negative impact on your life. 3. 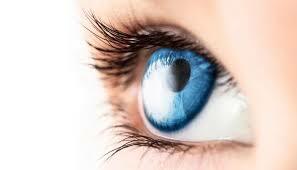 Other diseases not related to the eyes can also be detected in their early stages by an optometrist. There are many people who believe that an optometrist only has the ability to determine if you have eye diseases. However, this is not the case. Hemorrhaging that occurs towards the rear of the eyes can be an indicator that the patient has type 2 diabetes. Sarcoidosis, hypertension and idiopathic arthritis can also be discovered by having an eye exam.